Juxtaposition: positioning two things close together (or side by side) to compare or contrast. This racoon family brings to mind a peaceful forest scene. And I suspect that a member of this household is a bicycle enthusiast. 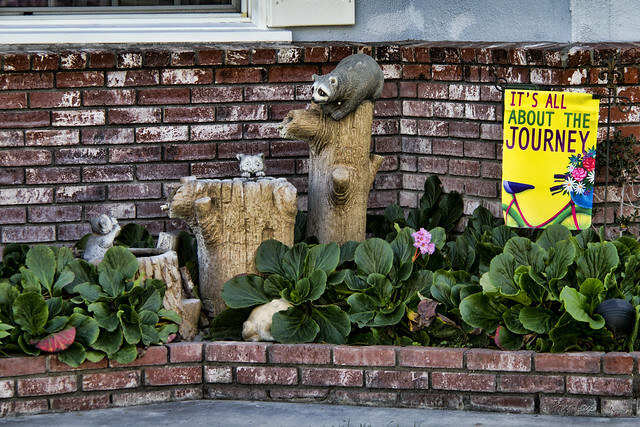 But the combination of the message "It's all about the journey," next to the raccoons, made me laugh.